This chest of drawers is both stylish and functional. There is ample space for clothes in the two larger drawers and for smaller items in the top drawers. 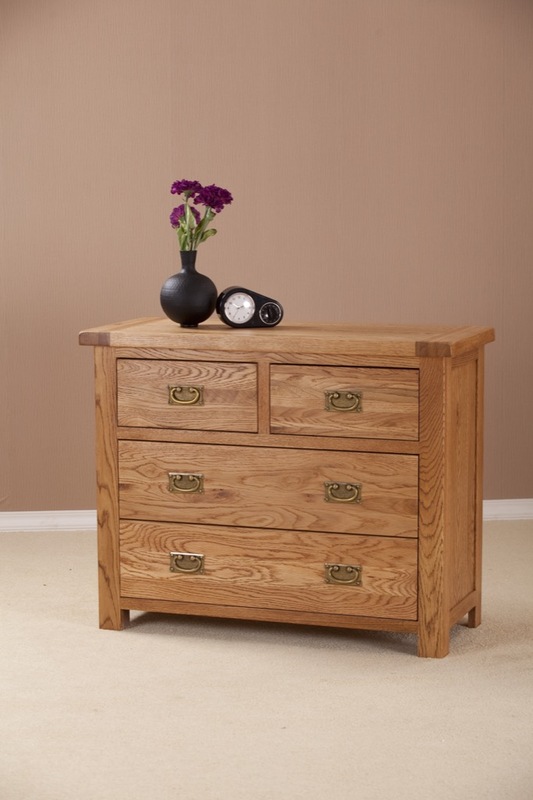 The 2+2 chest features curved metal handles and has an attractive brushed oil finish. Craftsman-built from strong, pure American White Oak, this piece of furniture will last a life time. Dovetail joints and tongue and groove backs and drawer bases are a mark of the traditional techniques used to create this item.